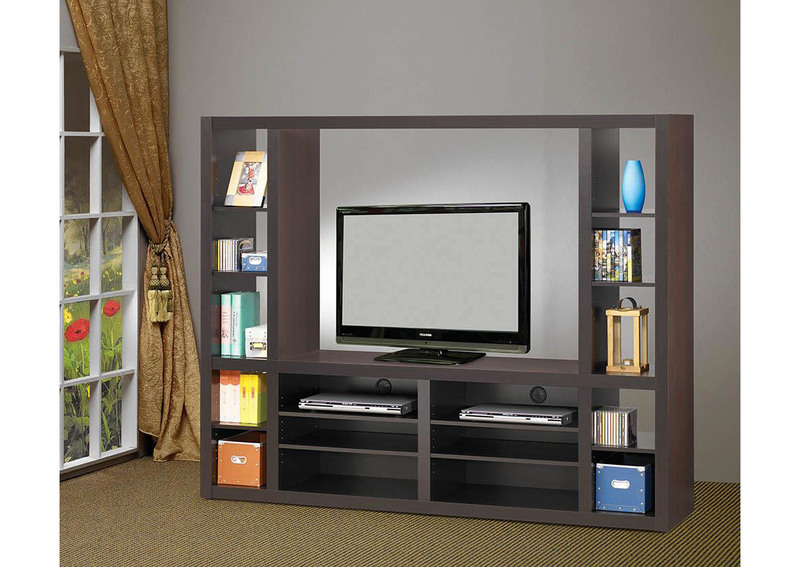 Sleek entertainment unit with clean lines in a cappuccino finish. The TV opening is KD construction. 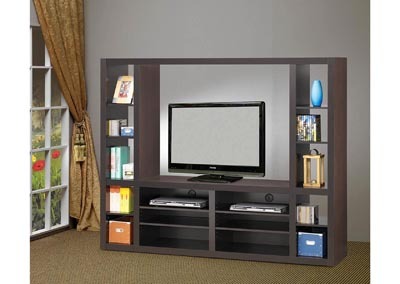 Accommodates up to a 46" and 132lb TV.